The remaining Team Fiji memebers of 19 athletes and officials departed our shores for Rio de Janeiro, Brazil yesterday. Team Fiji deputy chef de mission Wayne O’Connor said this is the country’s biggest contingent to the Olympics. 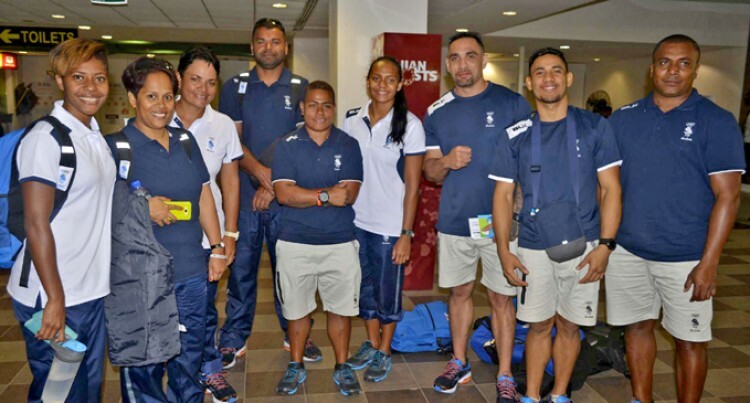 Team Fiji will participate in 10 of the 42 sport disciplines, archery, athletics, boxing, football, judo, rugby sevens, shooting, swimming, table tennis, and weightlifting. “The only thing left is to enjoy it for now on and perform at their best. The athletes alongside our officials need to make sure their times and other data are recorded so that they can perform at their highest level,” he said. The 86-member team consists of 54 athletes and 32 officials including the chef de mission, coaches, section managers and medical personnel. “Some of the challenges we’ve faced so far are confirming team members and that all had to be confirmed by July 18,” he said. “I’d like to thank the Government and all our corporate sponsors as well as FASANOC for all their continued support. Also to our families and friends who have always been behind us. These contributions have enabled Team Fiji to pay for their preparation and participation expenses,” he said.